Build vodka and juice in tall glass over ice. Stir briskly and float Galliano on the top. 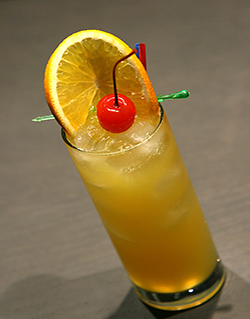 Garnish with an orange slice or wheel and maraschino cherry (optional).